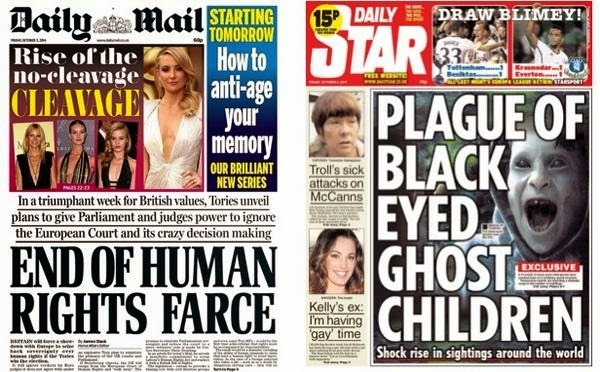 What The Papers Say: Down With Human Rights! Down With Black-Eyed Ghost Children! PS This'll cheer you up - a new interview with Noam Chomsky, Can Civilisation Survive Really Existing Capitalism? I can't wait for Cameron's next meeting with Putin, who will no doubt make it very clear that Russia is perfectly happy to abide by the decisions of the European Court of Human Rights.